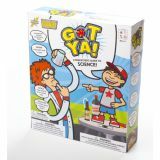 Reveal the science behind some hilarious practical jokes inside the Got Ya! Science kit. You'll learn to train a genie in a bottle, make water disappear, and literally shock your friend on your quest to learn science. 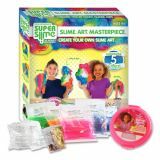 Inside this kit you'll mix up 6 different colors of Super Slime with a variety of science based mix-ins. Grow some water absorbing polymers, sprinkle in some glitter or foam balls to mix up your perfect batch of slime. Shine the included mini black light on the slime to see it glow in the dark. Afterwards, air dry your Super Slime Masterpiece!